This article is 601 days old. Windsor City Council has approved a major light display for Jackson Park. The display which would be up from December 1st into January could include the lighting of hundreds of trees fully wrapped in lights within the park on a circuit around the paved pathway perimeter. A huge 50’ to 60’ lighted tree could be placed in the centre of the sunken gardens, and a large display in the area near Tecumseh road at the entrance to the park, with giant reindeer and a Santa sleigh welcoming people to the event. The trellis structure east of the sunken garden could be completely lighted with a large 144” wreath hung over the entrance as well as the pillars and overhead structure completely wrapped in lights. As you enter the sunken garden moving west, you could walk through a series of light tunnels and the entire space filled with lights and displays along the sides and interior beds. In addition to an elaborate display of holiday lights, planned events such as horse and carriage rides around the park, arts and crafts, hot apple cider and hot chocolate booths, food vendors and fun for the whole family could be considered. 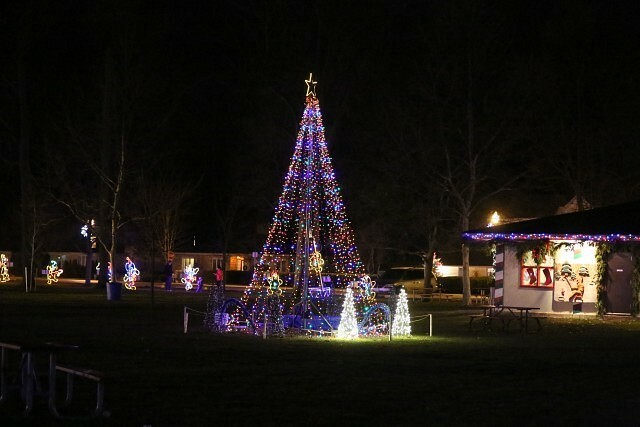 The total 2017 operating and capital cost of the proposed destination Holiday Lighting display in Jackson Park is estimated to be just under $3,000,000. This includes the upfront capital cost to purchase the displays, as well as the labour and equipment for the setup and take down of the displays, security, and programming. The City also plans to continue some of the traditional locations of Christmas lighting such as Dieppe Park, Charles Clark Square, WFCU Centre Roundabout, Mackenzie Hall, Gino and Liz Marcus Recreation Complex, Willistead Manor, and the Gateways at Howard and Dougall Avenue. It was approved by a vote of 6 to 5. Councillors Francis, Borrelli, Gignac, Sleiman, and Elliott voted yes along with Mayor Dilkens, with Marra, Holt, Kusmierczyk, Bortolin and Payne voting no.